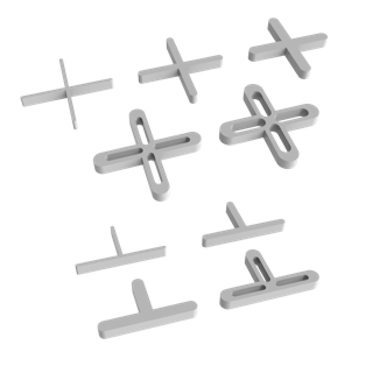 We have a selection of X-shaped and T-shaped tile spacers ranging from 1mm to 4mm in both styles at great prices. They come in packs of 250 and are made of high quality plastic. Note the X-shaped ones can be 'snapped' to make T-shaped so are suitable for both in-line and brick-bond style fixing of your tiles.